Have you ever had one of those days when your creative juices have run dry? When your mojo has hit the road? I don’t know about you, but I have! And over the years I have found there’s nothing like a good challenge to get your mojo back and bring on the flood of creative juices. I have participated in many different scrappy challenges on the web over the years, but one of my very favorite challenge websites is Color Combos Galore owned and operated by the very talented Janet Perafan-Babar. Each Monday Janet posts a new color combo with examples projects from herself and her awesome design team, and some weeks from a very talented guest designer. Participants have until Sunday to post their projects based on the color combo. Janet asks that projects use all the colors in the Combo in any way, but they must stay true to the Color Combo. You are allowed to add in a neutral like black, white and kraft. You may also add another color but it should not dominate any of the other colors of the Combo. There are so many things I love about this challenge site. It not only has challenges, but there is a whole social network complete with a gallery, a forum, a place to create your own page, groups, a help section, a favorites section, and a walk of fame for participants who get their challenge projects published. Of course all of this is free—no subscription required! This is all awesome, but what I really love is stepping out of my scrappy box and playing around with gorgeous color combos I would never think of on my own. Janet has a gift for creating amazing combos—if you’ve never tried her challenge, I promise you’ll have an awesome experience if you do! I made a layout and a card using this spring-y color scheme. Credits: Patterned paper (Basic Grey), ribbon (Fancy Pants), decorative scissors (Fiskars), digital stamped alphas (Katie Pertiet "Messy Stamped Alpha no. 2" for designerdigitals.com), font is Sandscript. How adorable are these pages? It's so fun to see how different designers put the same color combo to use on their projects! Heidi - I'm such a fan of this! It's such a great thing to have when thinking out of the box. Paula - It's a fun, out of the box (at least out of MY box) site which suggests color combos I might not have thought of using. Layle - A great site for suggesting color combos that you might not think of. Emilie - I think this is a truly cool resource if you want to challenge yourself and try something new. So, have you ever participated in the Color Combo challenge? If so, did you enjoy your experience? Do you enjoy challenges? Do you participate in any other challenges? Which are your favorites? I haven't done a lot of color challanges - but I love http://thebasb.blogspot.com/ and http://methodplayground.blogspot.com/ and have participated there. I have never heard of this challenge site, but your layouts are all so amazing I am going to go and check it out. Thanks for the great review Aly! I have no participated in a color challenge before, but I like the idea of stretching myself out of my comfort zone. This site sounds like a fun place to visit - I am definitely going to check it out! Thanks for the review! I love the challenge & sketch blogs! I haven't done this "color combo" one yet, but it's definately on my list now! I love how challenges get the creative juices flowin! Come and play with us ! I'm always up for a challenge and love the color challenge site, I think LO colors are a bit challenging for most scrappers. It's new to me, but now bookmarked. I just participated in an online weekend challenge crop at www.startascrapbook.com, and it not only got the creative juices flowing - but I got a lot of LO's done. Thanks for your tip & I'm off to take up the color challenge. I have never heard of this site, or a color challenge. 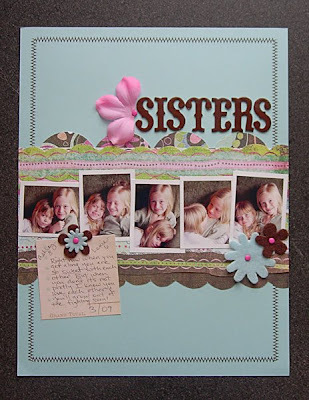 But I really think that would be a wonderful way to make some changes with my scrapbooking. I often use blue and green and brown, but rarely any other color. I need to branch out a bit! I have never participated in a challenge but I frequently visit this site for inspiration. I love the combos-things that I would have never put together. But when you use them, it takes your crafting to a new level. Thanks for the link. Challenges like this can become addicting! That can be a good thing as well. great work everyone! I should try this site! Congrats Aly! Loved your article and thanks for helping us think outside the box. Love the color combos! I haven't tried the color challenge site, but I will now! Choosing the color combos for my layouts and cards is one of my favorite parts of the process. 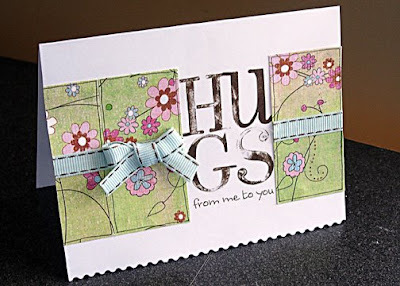 I do participate in challenges frequently and even host a weekly layout sketch challenge and card sketch challenge on a scrapbooking forum called startascrapbook.com. I also participate almost every week in challenges over at the Hero Arts blog. OMG - how cool is it seeing my combo up on your site! I LOVE what you all have donie with it too!!! Thanks for playing along and thanks so so much for a fabulous article! I have never participate in a color challenge before, but I might just give it a try with those beautiful colors!! Thanks for the reviews.. Really appreciated! I love playing @ CCGC it so helps you use your stash(in my case DIGI)and absolutely get out of your comfort zone! Awesome Aly! Thanks for the wonderful review! I agree, so amazing to see how the same four colors can be applied in so many ways. All the projects here look fantastic! I love what the girls did with the Color Combo! It is true, you will be forced to "step out of your box", but when you do, you will be glad you did!!! Thanks Aly!! !